KANCHENDZONG WATER FALLS- The Khanchendzongna waterfall lies 28 km away from Darap en route to Yuksam and 15 km before reaching Yuksam. It is one of the most beautiful waterfalls in Sikkim and is normally active throughout the year. KHECHEOPARI LAKE- This is considered one of the sacred lakes of Sikkim. The lake remains hidden in the rich forest cover. It is believed that birds do not permit even a single leaf to float on the lake surface. Do not forget to take a packet of biscuits and to break them into pieces and offer them to the fishes in the lake. RIMBI WATERFALLS- About 12kms away from Pelling and about 5 kms further down from Darap village is Rimbi River Bank which falls on the way to Khecheopalri and Yuksam where the main attraction is water falls which is spectacular in summer that attract many waterfalls lovers. SEWARO ROCK GARDEN- A bit further along from Karchen hydro electricity powerhouse is Sewaro rock Garden. This is a tourist picnic spot developed by the department of tourism. It is surrounded by dense greenery and flowers and equipped recreational amenities including fountains, resting sheds, flat stone foot paths, large gardens, cafeteria, swimming pool, ponds, handsomely maintained rocks (stones). In the 2nd week of January every year the celebration of Maghe mela is held along this river belt. DARAP CHERRY VILLAGE- Formed with a view to boost up the village economy, Darap Eco-tourism Committee is a full-fledged nonprofit making, secular, Non Governmental Organization. From its initial establishment the organization has been working towards the development of village through eco & village tourism. The organization believes that the sustainable development or the well being of the local people shall be achieved through self- reliance.Amongst the few unexplored areas this village historically known as Therap, meaning flat land, is home to a few of the Limboo people. Tucked away in the interiors of Himalayan belt, this cold, high altitude village has only recently been known to the outside world. Situated at an altitude well over 1,600 m (5,250 ft) above mean sea level, the valley is exposed to temperature variations of -5°C to 28°C. This makes Darap a storehouse of various rare and endangered species of flora and fauna. 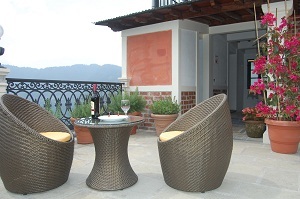 A luxury resort also operates on the premises, home stay is also possible in the village homes. RABDENTSE PALACE RUINS- When descending from Pemayangtse Monastery you can take a left turn and take a walk for 10 min to reach to the gateway of Rabdanse Ruins. The ruins lie hidden from the main road. The walk towards Rabdantse is through a forest area with some rare species of orchids and a few lakes. These lakes are also home to local carp fish. There are good views from the top of the ruins looking across the deep valley and to the Khang-chen-Dzonga ranges. PEMAYANGTSE MONASTERY- Pemayangtse literally means perfect sublime lotus. This is one of the oldest and most important monasteries of Sikkim. Founded in 1705, this monastery belongs to the Nyingma-pa sect. The 3-storied building of the monastery houses a good collection of wall paintings and sculptures. On the 3rd floor of the monastery, there is a 7-tiered painted wooden model of the abode of Guru Rimpoche, complete with rainbows, angels and the whole panoply of Buddha and bodhisattva. In January-February every year, a religious dance called 'Cham' is performed in Pemayangtse. YUKSOM- Yuksom is a large village with a total area of 812.16 hectares (2,006.9 acres). It is located in a basin-like valley surrounded by mountain ranges. Located at the head of the Khangchendzonga National Park, it is the gateway to Mt. Khangchendzonga. The popular mountaineering trek starts from Yuksom. 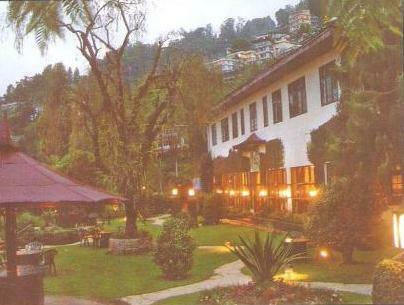 It is well connected by a road network with Geyzing and Gangtok. 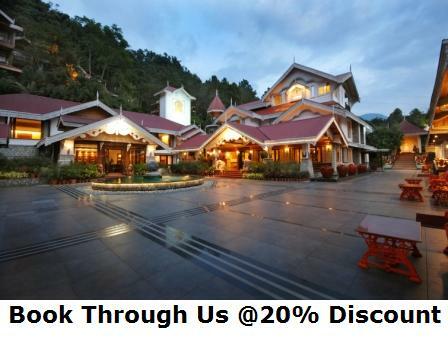 The natural environmental setting of the town, ensconced amidst rich forests are further accentuated by the history, architecture and Buddhist legacy that evolved from the 17th century with Yuksom's establishment as the first capital of Sikkim. Situated at the head of Khangchenjunga National Park, the largest Protected Area in Sikkim, and at starting gate for the trekking trail to Mt. Khangchendzonga. PHAMRONG WATER FALLS- Located between Yuksom and Gerethang this highest waterfall of West Sikkim presents a magnificent scenario especially during Monsoon. A gentle gradient footpath takes one to a viewpoint for a closer view of this mighty discharge of water. DUBDI MONASTERY- Dubdi Monastery also commonly called as the Yuksum Monastery is another Buddhist pilgrim centre located in the Tibetan Buddhism of the Nyingma Sect, close to Yuksum. SINGSHORE BRIDGE- Singshore Bridge, a 198 meter suspension bridge. It is also the highest bridge of Sikkim and second highest George Bridge in Asia. TASHIDING MONASTERY- is a Buddhist monastery of the Nyingma sect of Buddhism in Western Sikkim, northeastern India. It is located on top of the hill rising between the Rathong chu and the Rangeet River. Tashiding is the nearest town to the Tashiding Monastery (Gompa), which are the most sacred and holiest monasteries in Sikkim. According to one local legend Guru Padmasambhava shot an arrow into the air to select the place. Where the arrow he shot landed, he sat in meditation and that site eventually became the site of the Tashiding Monastery.